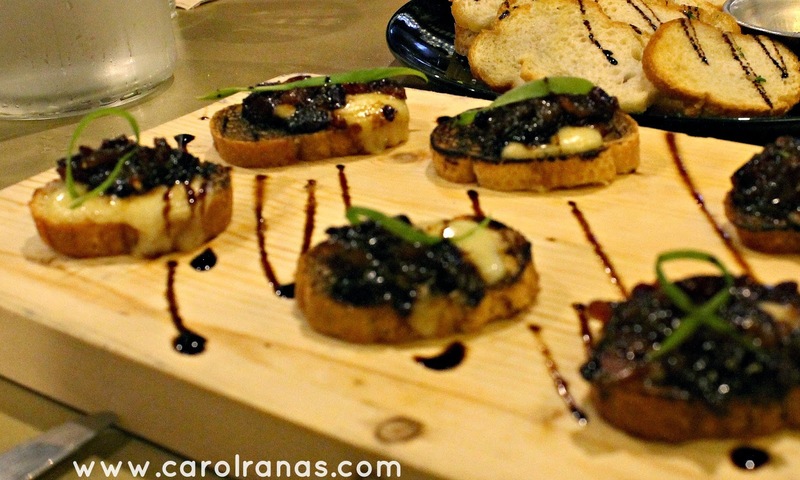 This is made of Bacon and Onion marmalade with gruyere cheese in crispy bruschetta. This is a good dish to start with. Bacon with caramelized onions? Yum! 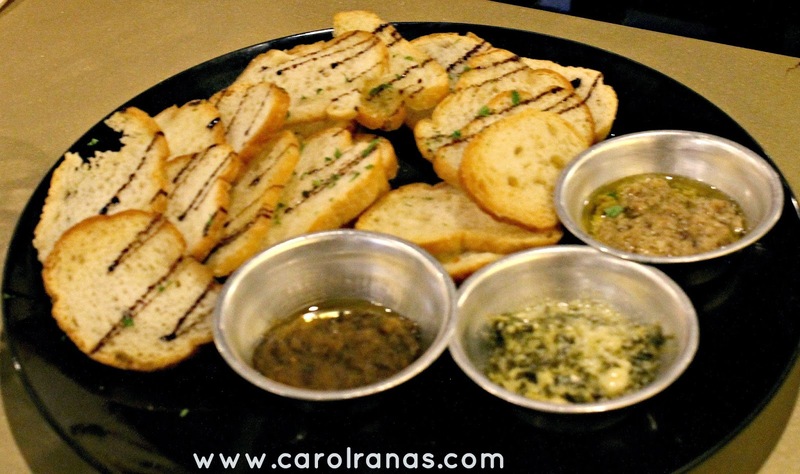 These are bruschetta slices with 3 dip selection namely Spinach dip, Truffled Mushroom and Eggplant Caponata. I loved the truffled mushroom among the three. This is one unique dish that Paprika is proud of. 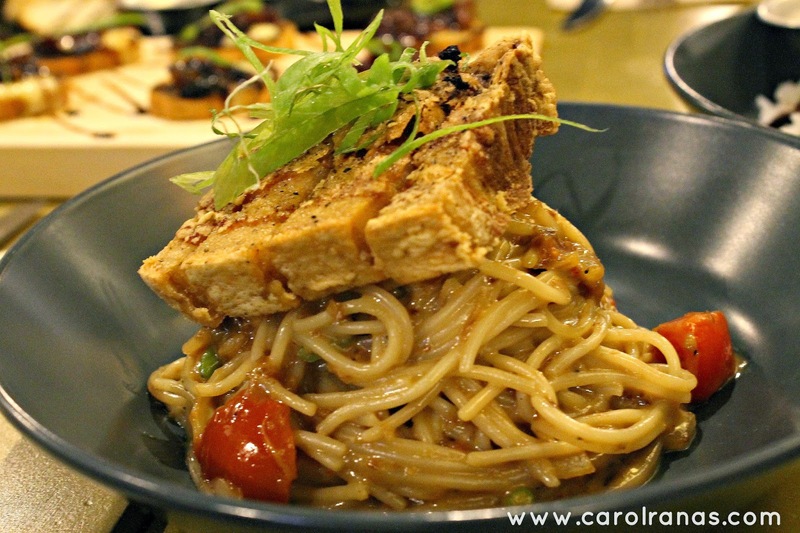 This is made of spaghetti with Bagoong sauce topped with crispy liempo. 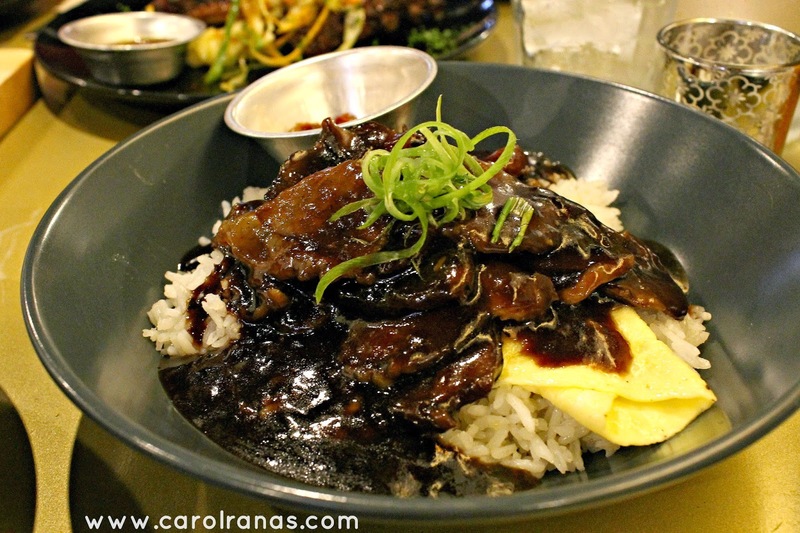 It has a strong savory taste because of the bagoong sauce but none the less very delicious. This dish has all our favorite adobo. 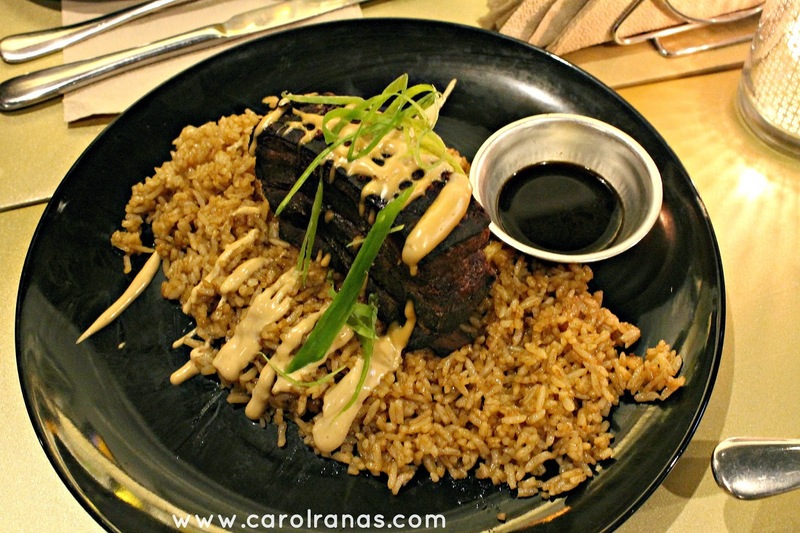 Crispy Pork Adobo in a bed of adobo rice drizzled with adobo mayo and adobo sauce. Even the adobo mayo tastes divine. I definitely would order another round of it. 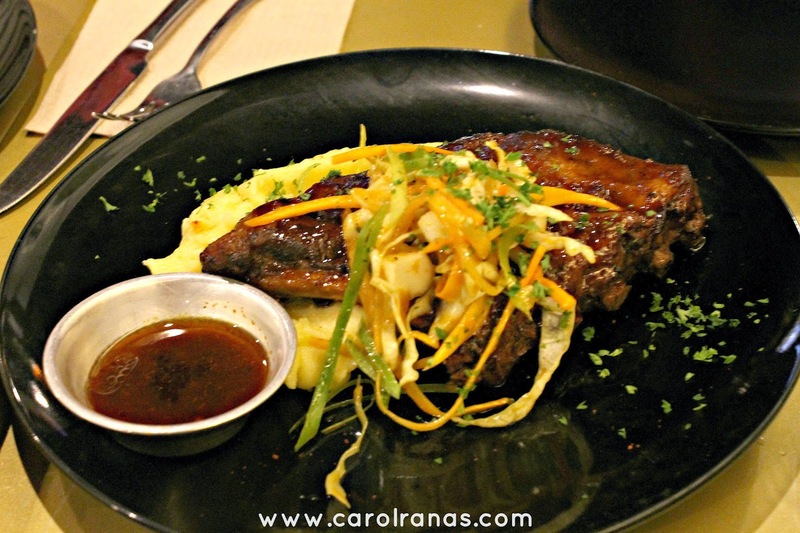 This dish consists of half rack of juicy baby back ribs in a bed of garlic mashed potato. You can ask for a cup of rice because this dish is savoringly good with it. It is my first time trying the chicken and waffle combo. 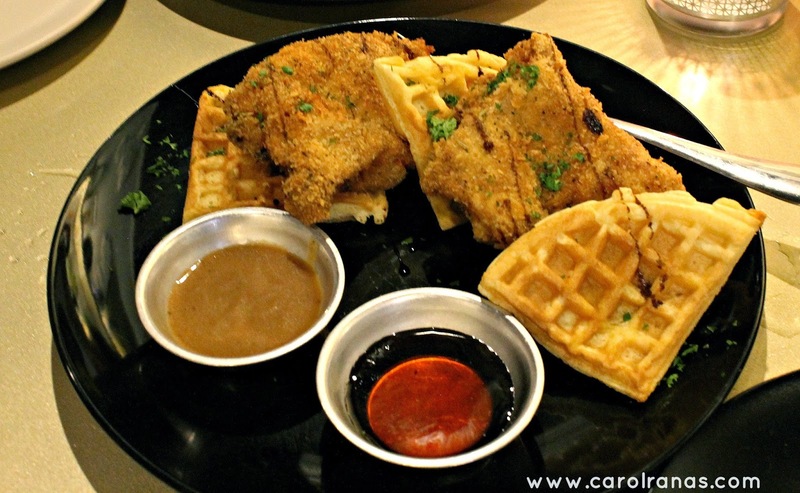 Those buttermilk fried chicken and Waffles with maple syrup and house gravy were an instant hit. I didn't know they could go well together. This dish is roast beef with home made pares sauce over garlic rice and chili garlic oil on the side. Be wary of the chili garlic because the spicy kick was too strong for my taste. 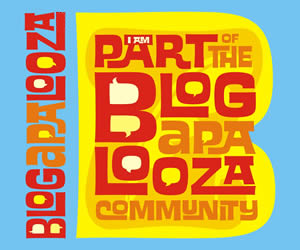 Otherwise you can opt it out because the beef tastes good, the chili would just overkill it's taste. This luscious dessert is made of layers of dark and white chocolate ganache, coffee jelly topped with chocolate soil. 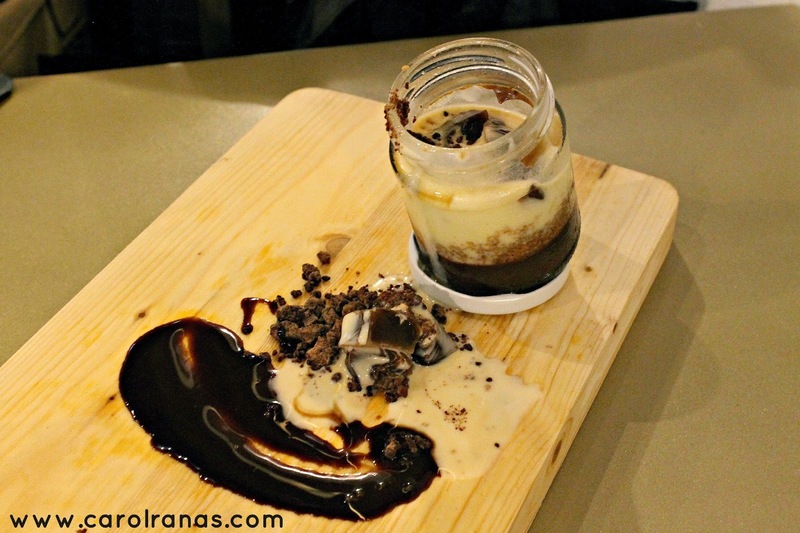 Despite the chocolate overload, this dessert is not too sweet,just pure creamy bliss. 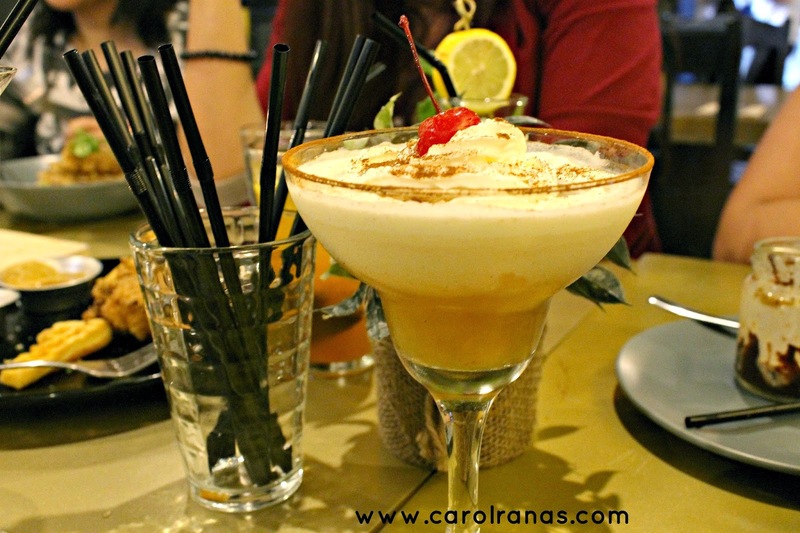 This drink is a combination of Grand Marnier, Amaretto, Milk and Cream with Cinnamon. This has a strong alcohol taste, attribited to the Grand Marnier. This was my favorite drink that night. 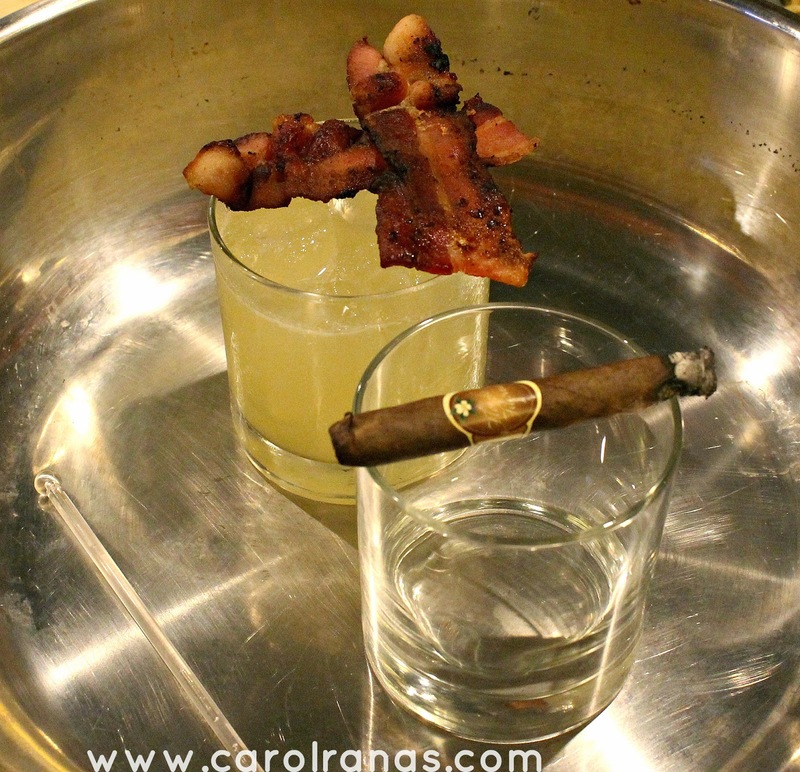 It is a combination of Jameson, Fresh Lemon, Egg white, Bacon and Vanilla Smoke. It has that citrusy flavor with a bacon aftertaste. This is Paprika's version of a white Sangria. 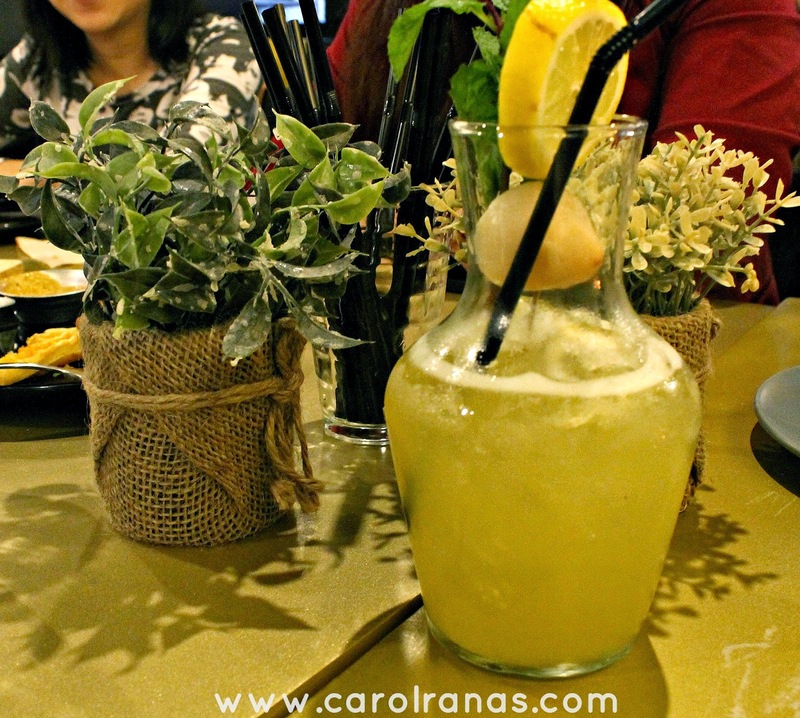 It consists of White wine, Brandy, Lime, Cherry, Lychee syrup, Dalandan Juice and Mint leaves. This drink is certainly refreshing but strong enough to leave you a bit of a buzz after. 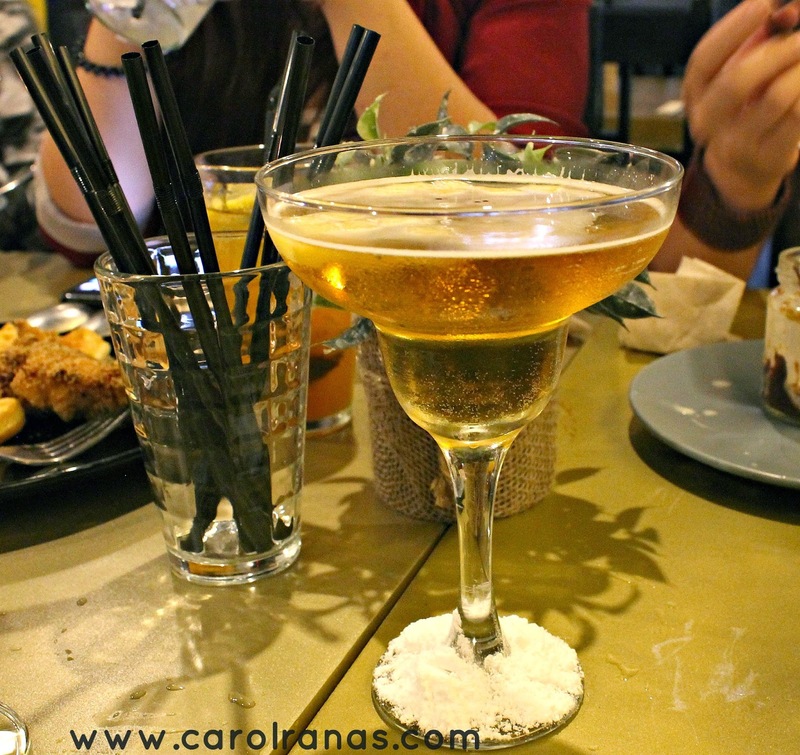 This drink is a combination of Johnny Walker Gold Reserve, Apple Juice, Honey, Apple and Sparkling Wine.  I'm not a fan of dark and hard liqueors, I find the flavor too bold for my taste. This is considered a dessert drink. 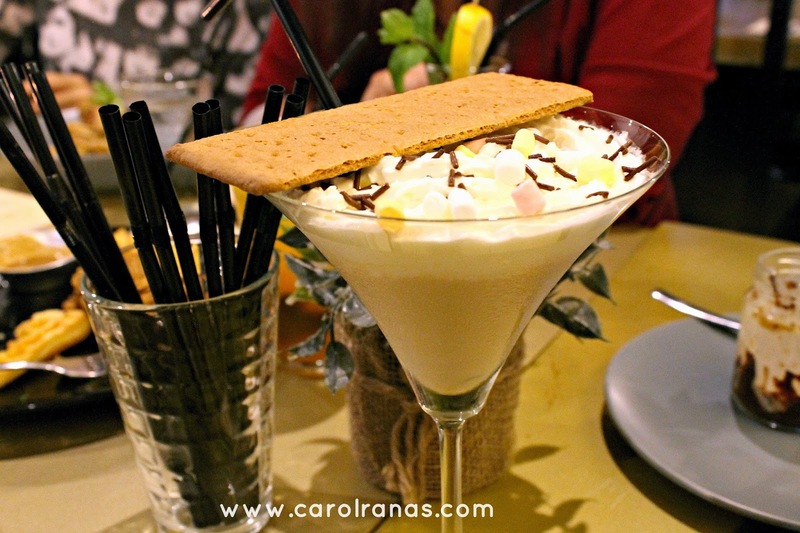 It is a mixture of Marshmallow Vodka, Baileys, Whipped Cream, marshmallow and graham crackers. It was fun to drink but be wary because the drink has a strong and bold taste. 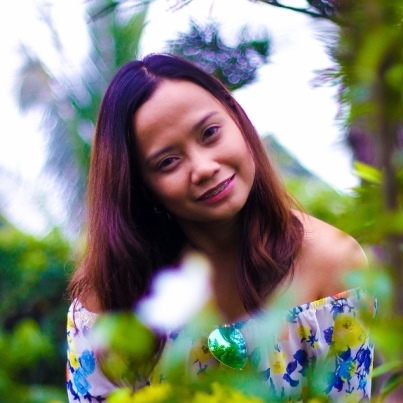 Overall, Paprika certainly is a good place to have dinner before heading to the intense party scene of the Fort Strip or if you just want a relaxed environment where you and your friends can have a good dinner over drinks. 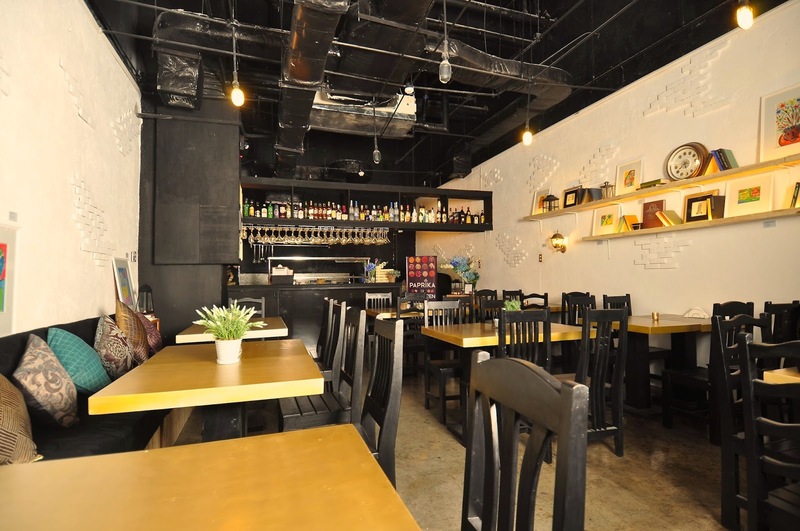 If you want simple food that packs flavors with an affordable price, head over to Paprika. The prices are reasonable considering their food taste superb. Definitely going back to bring Soshi with me, I know he loves a restaurant that serves both good food and drinks.